Below you can view all the homes for sale in the Windemere subdivision located in Carmel Indiana. Listings in Windemere are updated daily from data we receive from the Indianapolis multiple listing service. To learn more about any of these homes or to receive custom notifications when a new property is listed for sale in Windemere, give us a call at 317-308-8198. This Home Has It All - Perfect For Family And Entertaining! MLS#21609628. Carpenter, REALTORS®. 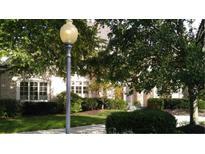 In the middle of prestigious SW Carmel, this location is convenient to work, play, schools or shopping MLS#21613423. The Greathouse Real Estate Co.
Walk-out basement with 3RD FIREPLACE in family room, wet bar, wine cellar, THEATER, 5th bedroom, full bath, gym, game, drumming & bonus room. 4 car garage. MLS#21613174. RE/MAX Ability Plus. Great outdoor entertaining space with patio, yard & mature trees. MLS#21612333. RE/MAX Ability Plus.